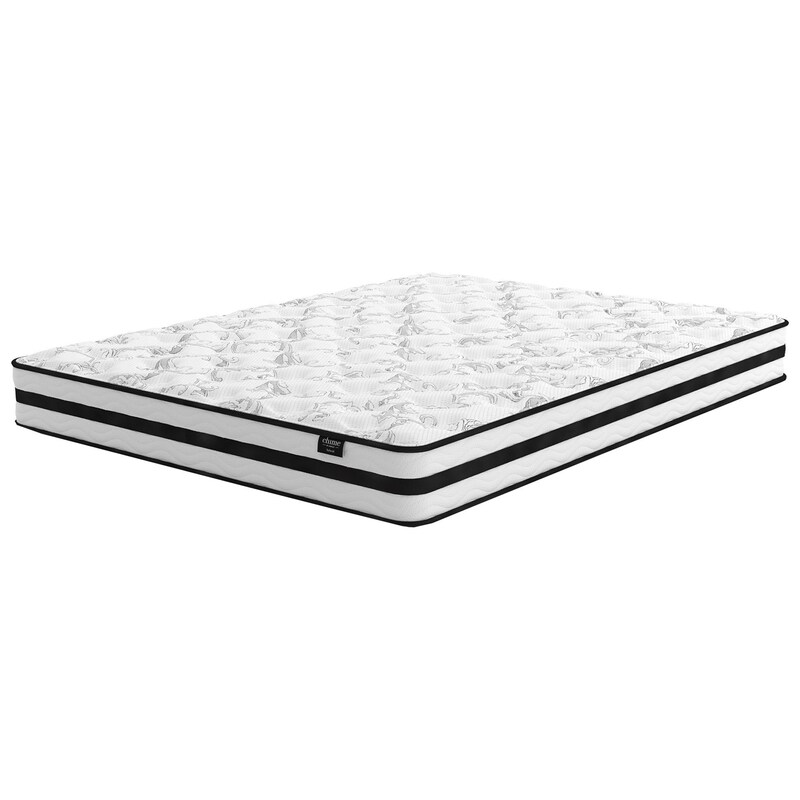 The M695 Full 8" Firm Innerspring Mattress by Sierra Sleep at Simply Home by Lindy's in the Hickory, Morganton, Lenoir area. Product availability may vary. Contact us for the most current availability on this product. The 8" Chime Innerspring Mattress, has a traditional innerspring feel with the unique ability to be shipped rolled up in a box. A good value mattress, with a firm feel, ideal for bunk beds and under bed trundles with its low profile 8" thickness. Constructed using hypoallergenic material's, it is ideal for allergy sufferers. The M695 collection is a great option if you are looking for Mattresses in the Hickory, Morganton, Lenoir area. Browse other items in the M695 collection from Simply Home by Lindy's in the Hickory, Morganton, Lenoir area.